JUSTICE LEAGUE ACTIVATED 23421201-1 Justice Badges White from Camelot Fabrics under license by Warner Bros. 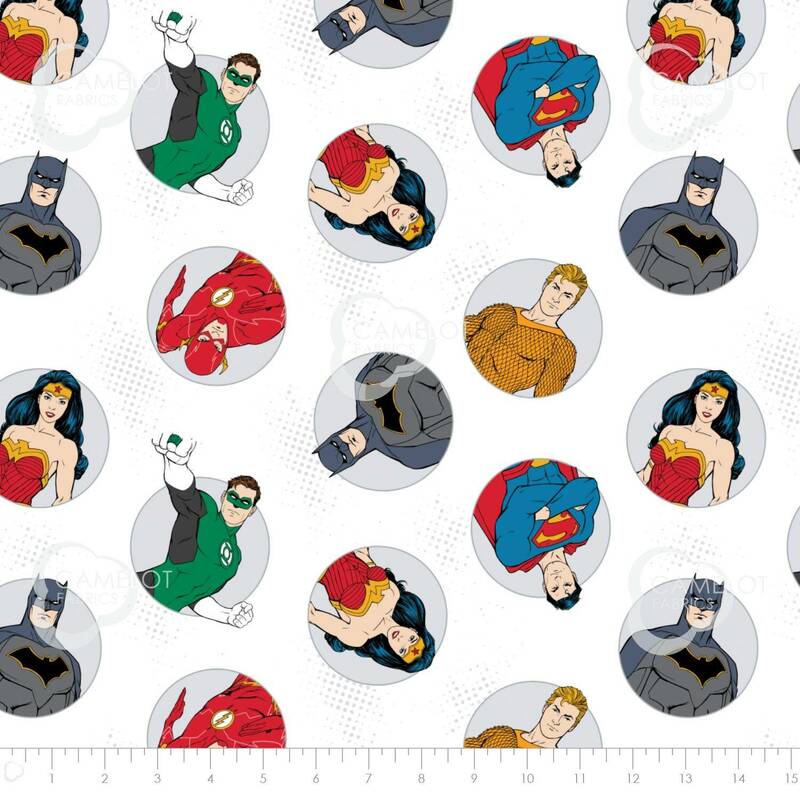 The "World's Greatest Super Heroes," including Superman, Batman, Wonder Woman, Green Lantern, the Flash, and Aquaman, combine forces in this fabric collection to inspire some super projects for the heroes in your life. Perfect for costumes, quilts, home decor, and apparel. Quilting fabric, 100% cotton material, 44/45" wide.